This Visualizing Health Policy provides a snapshot of the 2014 Ebola outbreak in West Africa. It includes key facts about the Ebola virus, shows how the number of Ebola cases in the current outbreak outstrips the case total from all previous Ebola outbreaks, and offers a summary of the key US agencies responding to the crisis and the roles they are playing. In addition, it provides a look at the growing 2014 Ebola case count in West Africa compared to US government funding commitments. Source: Kaiser Family Foundation (http://kff.org) analysis. 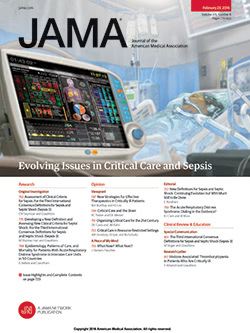 Original data and detailed source information are available at http://kff.org/JAMA_10-08-2014.